This year marks 30 years that I've been a American Top 40 fan. I first started listening to American Top 40 in the spring of 1987 on WHYT 96.3 FM in Detroit, its call letters at the time, as a 14 year old high school freshman. To say that the show has been a huge part of my life is an understatement. In those early weeks, I listened to bits and pieces of the show, about 4-5 songs and within a couple months, it was the Top 20 and eventually, the entire Top 40. I remember a few months after I began listening to the show, there was an article in my high school's newspaper where there was an article featuring the high school's girls swim team and the entire team was profiled in the article including a pair of twins sisters that I was friends with at the time and I also had a crush on one of the twins, which coincidentally, occurred at the same time I began listening to the show. And in that same issue, actually it was the very next page where there was a picture of Casey Kasem, doing an advertisement for Wayne State University, where he was an alum. In the advertisement, he said, "Wayne State, Great School". I would later attend Wayne State years later. After American Top 40, my interest in music and radio in general, would never be the same. The show got me interested in the Hot 100, many of Joel Whitburn's books, music trivia, artist bios and etc. Over the years, I listened to the show with all 3 hosts, Casey Kasem, Shadoe Stevens and its current host, Ryan Seacrest. American Top 40 became a Sunday morning ritual for me during my high school and college years. I have listened to the show on and off for the past 30 years. Around 2000, I discovered the show again, which was around the same time Rob Durkee's book, "American Top 40 The Countdown of the Century" came out, after the show wasn't aired in my hometown of Detroit for several years after WHYT dropped the show around 1993. By then, I had lost interested in the show due to the show no longer using the Hot 100. And of course, the many AT40 shows in my collection, which I listen to in my car every weekend. I have been listening to AT40 show in my car on the weekend for over 15 years. Nowadays, I'm mostly focused on the AT40 shows from the 70's and 80's. I had listened to Ryan Seacrest hosted shows for several years but I don't listen to the current version much anymore as I don't follow pop music as much as I used to. I did a post on that on the General Music Discussion page a couple of months ago. But in any case, it has been a great 30 years of being an American Top 40 and I plan to remain an AT40 fan for many years to come. Casey Kasem - the Legend Where the Countdown Began (1932-2014). For me, I already did celebrate my 30th anniversary of becoming an AT40 fan last fall. The first full show I got to listen to in its entirety was November 1, 1986, which was guest-hosted by Charlie Van Dyke. I remember one of the debuts that week, and Charlie Van Dyke mentioned it was "more than just a debut" on that show. That song was apparently the 1961 song "Stand By Me" by Ben E. King. The reason why I became a dedicated listener of AT40 around that time is because the Saturday morning cartoons I enjoyed over the years, the newer cartoons were not that great, and the continuing cartoons were not getting any better in terms of quality. At that time, I started to appreciate music more and more. I have enjoyed music from 1984 greatly (and to me, 1984 was the first full year for good music after 1978, the last full year of the disco era), but because of my involvement with Saturday morning cartoons in 1984, I never got a chance to appreciate AT40 from that year until the rebroadcasts in the last decade. Then, in 1995, I was sad to hear Shadoe mention that the show was airing for the last time. Shadoe was a good host, I kid you not, but Casey Kasem ruled when it came to counting down the hits. I enjoyed listening to Casey's Top 40 during the three years to come. Then, in March 1998, I was in for a surprise - out of nowhere, AT40 - the brand - was back in business, with Casey Kasem returning to the mic! I was on cloud nine when that happened. It was probably one of the better days of 1998, in my opinion, despite going through a rough period in personal life. I was a dedicated fan of AT40 until Ryan Seacrest took the helm in January 2004. I haven't been a weekly listener ever since, and I may have heard parts of the show when I was in the car, but that's about it. Some of today's pop music is good, as I heard them in a club in the virtual interaction program called Second Life, but my taste for newer music is not as abundant as in the 1980s. In terms of AT40, I only focus on the 80s rebroadcasts, mainly from late-1983 through late-August 1984, and definitely late-1985 and all of 1986 (except for October 1986 through December 20, 1986), and most of 1987 and 1988 (as long as Casey was host, and his sub-hosts). However, I did manage to listen to one full Ryan-hosted AT40 in June 2014, but only because of the tributes to the then-recently departed Casey Kasem which would pop up at any time. Other than that, my weekends are devoted to the Internet, mostly game show related stuff. AT40 has changed dramatically since Casey stepped down from hosting, but at least I have 80s rebroadcasts to enjoy to my heart's content now. This year, 2017, will be my 40th anniversary of listening to and being a fan of AT40. As a child, I lived in Germany for almost two years - a parent was in the Army, and we were stationed there. We lived in a classic German two story house, downstairs from a German couple who were our landlords and very nice people. One of my fondest childhood memories were finding treats, cookies and small gifts in my shoes one Christmas, which I now know were left from them. We had no television, although from visiting occasionally with the German couple upstairs who did have a TV, I wouldn't have understood the programming anyway. All we had to listen to was the radio and the Armed Forces Network. That was my first experience with American Top 40 and other programs that would come on like "Superchicken". It also fostered my love of radio. So it started way back in 1977 for me. I guess everyone has a story of how they discovered AT40--so here is mine. I first remember hearing Casey's voice counting down the hits in 1971, while living in the Detroit area. I even recall him telling the story of how the Osmonds got the unique sound in their hit Yo-yo. It was the sound of saws to make the unusual sound you hear in the song. I didn't really listen to the show again until the mid 1970's--as the main station I grew up listening to Top 40 radio on didn't carry the show (CKLW, Windsor). My family moved to the Atlanta area in 1973 and I re-discovered AT40 in 1976 and began listening to Casey on a regular (weekly) basis. I was fascinated by the weekly race to the top of the charts and the stories and pop music facts that made up the weekly trek to the top of the pop music mountain. As I'm sure many of you do, I found AT40 to be among the best that radio had to offer and continue to try and catch Casey whenever I can. The only thing that is a shame is that AT40 missed the most important decade of pop/rock music history (in my opinion)--and I believe that is why some of us today our trying to keep the music of the 1960's alive by offering countdown shows from that decade. I hope others will share their AT40 stories. First off, thank you to all those who've shared their stories. It's been fun for me to read about each one's discovery of AT40. And an extra thank you to folks like djjoe1960 who gives us countdown shows, especially during the 1960s, which pre-dates AT40. Although it's a little before my time, it's fascinating and fun to hear what was popular back then. I appreciate the time and effort put into those! I was a fairly active kid, played outside a lot with neighborhood friends. I remember hearing AT40 here and there during the early 1980s but never made it a weekly habit. Then one Sunday night in June 1984, I stayed inside, and after dinner, wanted to listen to the radio instead. After surfing a little, I came across AT40 on KDWB-FM (which still carries AT40 today). I had heard a lot of the songs on the countdown from regular radio airplay, but not in a countdown format. I enjoyed listening to Casey tell stories about AT40 history, the artists, the songs, and the teasers. I made mental notes on song ranking and movement. I was hooked. After the show finished (I think it may have been the 6/23/1984 show), I couldn't wait to hear the next one. And ever since then, I made it a point when I could to catch AT40 every Sunday. I'd go into a show pretty much remembering all the songs from the prior week and where they ranked, wondering where they'd end up in the new week. 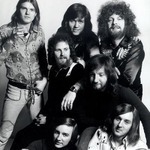 And I was even introduced to a few tunes on AT40 that I wasn't hearing on local radio, many of which I liked. (One of the best things about AT40.) As I'm sure with many on here, we'd root for our favorites to go all the way to the top and be disappointed when they would descend (or peak lower than we think they should have). Each song's ride up and down the chart was like being on a roller coaster. 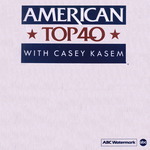 In 1990, as Casey's Top 40 gained in popularity and was carried on another local station, I'd try to catch both (thankfully, they aired at different times). I kept Shadoe in the mix until the fall of 1991, right around the time of the dropping of the Hot 100 (maybe right before it, as I had moved to a different state and couldn't find AT40 a few months later). So I caught either CT40 and/or WT40 for the next several years, until AT40 returned. I listened to many shows up until early 2007, when my work schedule wouldn't allow me to catch AT40 every week. Recording the shows and editing them later got to be too much. But I still catch a show here and there, and always get the year-ends. Those were the ones I especially looked forward to. It's fun to take a look back and remember the year that was through popular music. No countdown on the planet could ever be what AT40 or Casey was. There are some good ones out there, but Casey set the bar very high. Without many fine folks like Shannon Lynn, Premiere, current & former AT40 staffers, and a shout out to our own at40petebattistini, all those broadcasts may have been lost in our memory banks forever. I'm eternally grateful to all of them for doing all they do to keep AT40 going. Thank you! I have been listening to AT40 since 1975. ( 41 Years) Including AT10 & AT 20. AT 40 was in NYC. AT20 & AT10 were mostly online. AT 20 was on BIG 105 in NYC. I now listen on SiriusXM & various stations online. I started listening to AT40 on WPIX NYC quite by accident. I heard Casey one Sunday mornimg and was hooked. My brother and I discovered AT40 in April 1983. I was 9 years old and he was 6. We became obsessed with the concept of music countdowns and would remain so for years to come, much to our parents' dismay (they so wanted us to have "normal" hobbies like reading and playing basketball!). We listened to the show sporadically from 1983-1986, depending on what time of day it was on (at some points it was on past our bedtime!). Finally, from late 1987 onward, we listened to at least one countdown show each week, depending on what was available in our area. (For a few years, two each week!) It was always a challenge to follow the shows weekly in the pre-internet era, but most of the time we made it work. These days I keep up with current music via Rick Dees' streaming (though I've lost a lot of faith in his charts) and also follow AT40: The 80's and the SiriusXM 80's and 90's countdowns. I can't remember exactly what show it was, but I started listening to AT40 in the spring of 1980 (April or May). The very first #1 song I remember hearing Casey introduce with the drum roll was Blondie's "Call Me". Shortly thereafter I started watching America's Top 10 every Saturday morning--I remember thinking Casey looked quite a bit different than I'd pictured him when I first saw the show! Anyway, listened and watched through about the middle of 1982, when American Top 40 was dropped in my town (thanks to the ABC merger). It was picked up again in April 1984, and I listened pretty regularly from then until 1989 when AT40 was again dropped due to falling ratings under Shadoe. Into the 90s, I listened sporadically to Casey and Shadoe until I went to college. These days I find myself listening to two countdowns each week: AT40 with Seacrest (on the way to church every Sunday--just like in the old days--on KIIS via my SXM radio), and the SXM Hits 1 weekend countdown. The latter is mostly because it's what my kids want to hear, but it keeps me up on what's current. I don't mind Seacrest's version of the show, though it's a far cry from Casey's AT40 in the early years. Take it for what it's worth--I assume the show is the way it is these days based on what today's listeners want to hear. That was my very first and last AT40 countdown show memory until 30 years later, almost six years ago my Mom helped me revisit it when she said she'd been listening to KOLA 99.9 out of Redlands, California, with Casey Kasem on Saturdays - The 80's, then Sundays - The 70's from January-March, so now I'm a big fan since April 2011! My history with AT40 goes back over 40 years... to 1975, when I was still delivering (quite-heavy) Sunday newspapers from Philadelphia (it would take a few more years till my hometown paper started a Sunday edition) all over my neighbourhood, when back home I turned on a radio and found Casey on what was then WKAP, a straight-ahead top-40 in nearby Allentown... hearing a story about Barry Manilow doing "what any red-blooded American would do" before a show (he threw up) got me hooked on the spot!